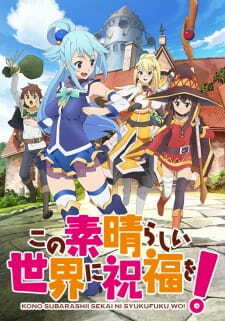 English: KonoSuba: God's Blessing on This Wonderful World! Synonyms: Give Blessings to This Wonderful World! #9 - God's Blessing on This Wonderful Shop! Kazuma runs into some adventurers he knows while out for a walk and decides to go with them to a shop run by succubi said to show its customers enticing dreams.